I have always been a staunch believer that one day all businesses will converge to mobile. Slowly but surely, they will. You've already witnessed the changing trend with banking followed by food and beverage (F&B) and entertainment. And now fashion. It's no rocket science though! People want anytime, anywhere convenience and a mobile app offers just that. If you desire a true fashion experience for instance, the all-new Myntra app is the best way forward. Swipe, select, and shop - can it get any easier than that! Take the world of online shopping with you wherever you go, and receive your favorite fashion merchandise by top brands delivered right at your doorstep. Think of the survival of any new e-commerce business and you simply cannot rule out the customer. Customer's involvement has been the cornerstone of driving such businesses towards success. But most businesses struggle to engage well with their customers. 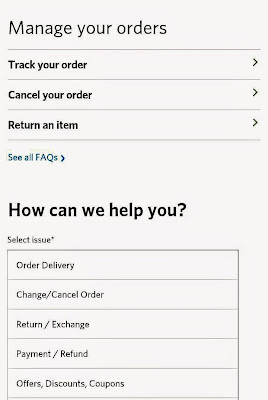 They have little idea about what the customer expects. Let's take a case in point. 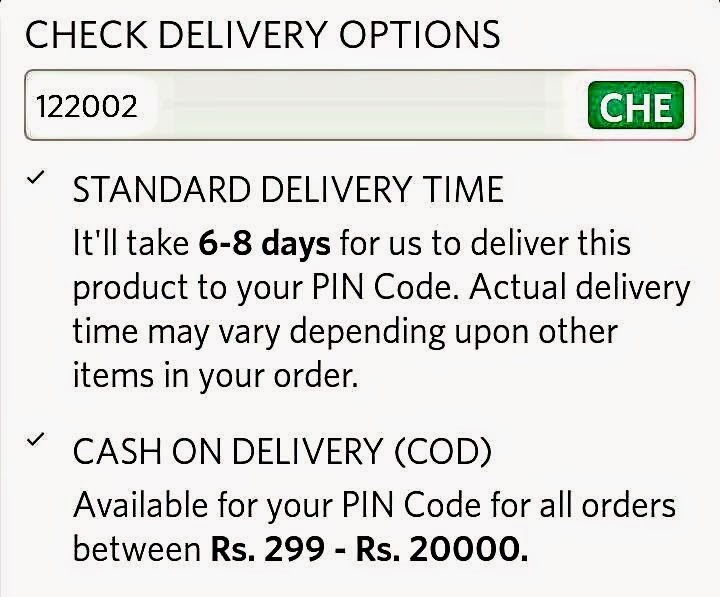 Something as simple as cash-on-delivery (CoD). 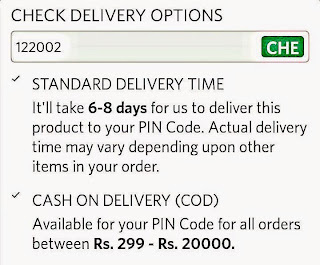 If you as a business can deliver to pin codes where the CoD option is not available, you've already gained the market edge. The dream that 'every customer you engage with is hooked on to your brand forever' can only be realized by sophisticated targeting, plus the initiative to know your customer better than rivals. Myntra's cool new app renders the easiest online shopping experience by offering free shipping, hassle-free return guarantee within 30 days of receiving the order, and CoD. Perhaps this is why Myntra continues to be India's favorite fashion haunt to date. Everyone Uses A Mobile These Days - No Kidding! Myntra believes that the best way to reach out to potential customers is by implementing mobile solutions, especially apps that are customized for all platforms like Android, iOS, Windows Phone, etc. A large section of Indian population is moving to smartphones. Just imagine if you're able to cater to ALL of them. To gain an upper hand in the world of mobility, Myntra launched its first e-commerce app that aims to establish enhanced user engagement and conversion. 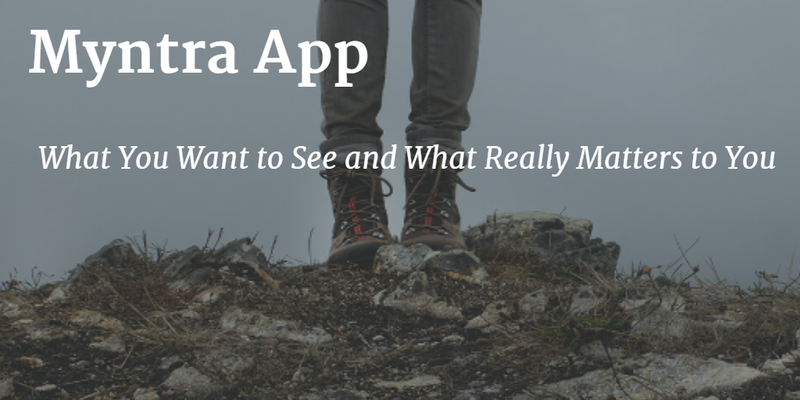 The app truly delivers on 'what you want to see' and 'what really matters to you'. Sift through 160,000+ product styles from over 1000 brands on the Myntra app while discovering the latest trends in lifestyle. Myntra app is your perfect gateway to a convenient shopping experience. And here's why. Keeps track of your preferences and in-app behavior to give a personalized recommendation from your favorite fashion and lifestyle brands. 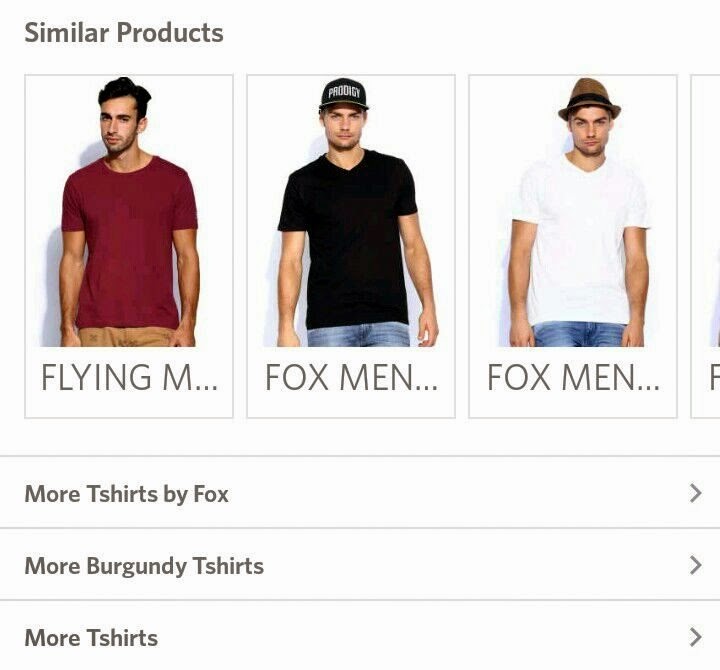 Based on your interests, Myntra decides what content to deliver and when to deliver. By getting notifications on best deals and offers, imagine the amount of time you'll save in searching your coolest brands and labels! 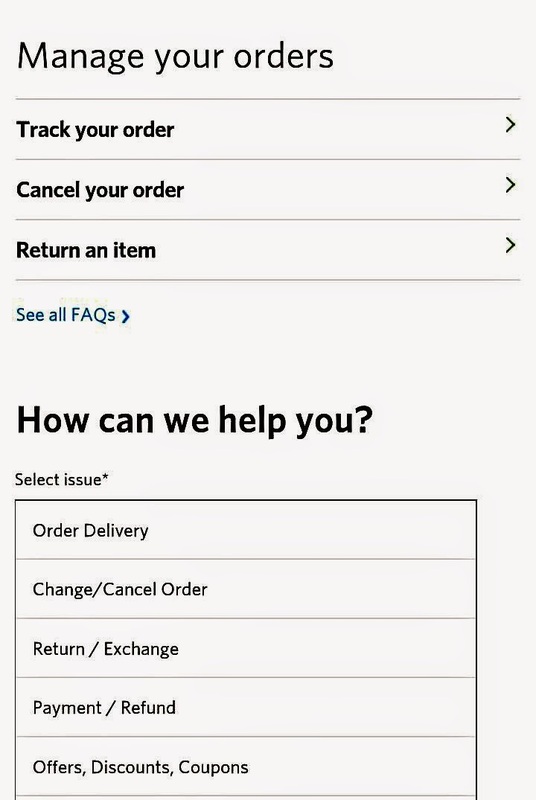 Provides a messaging center for seamless customer interaction with support. Myntra strives to know your opinion on the quality of service. Each time a new arrival hits the catalog, you will receive an alert. Ditto, in case of any new information that is available for your consumption. Offers best deals on merchandise. 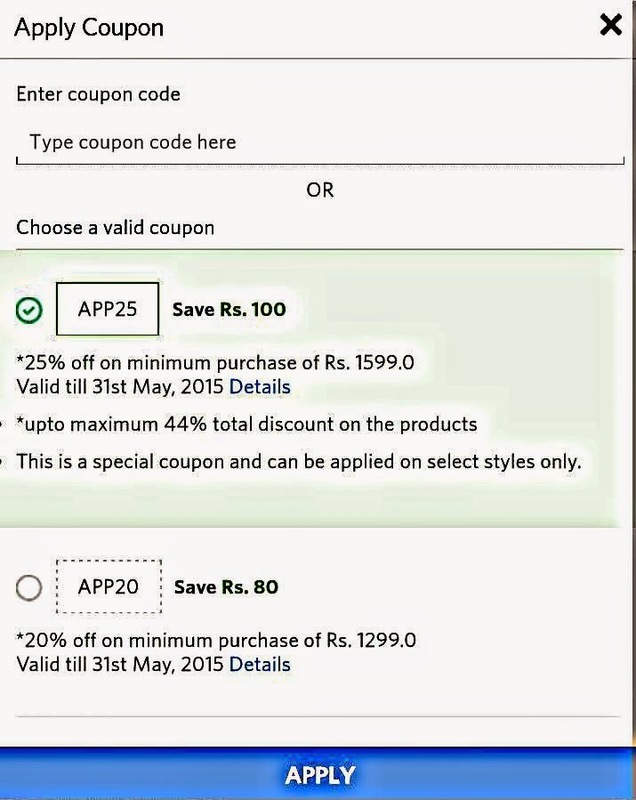 Now grab additional massive discounts on big brands by using the mobile shopping platform. 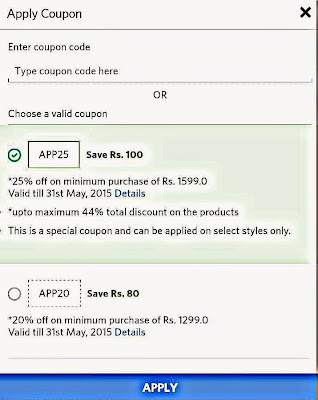 Just type your Myntra coupon code directly in the app and see the magic. Keeps track of your current location and location history to offer you the best service at precisely the right time. The Myntra app provides you easy access to free styling tips from fashion gurus. You can view detailed product information with illustrations and style notes from noted fashion editors. That is not all; you can get style suggestions from your circle of friends by sharing on social media, including WhatsApp, Facebook, Twitter, etc. While using the Myntra app, you will be encouraged to refine your search by using Sort and Filter features like popularity, discount, prices, colors, sizes, etc. 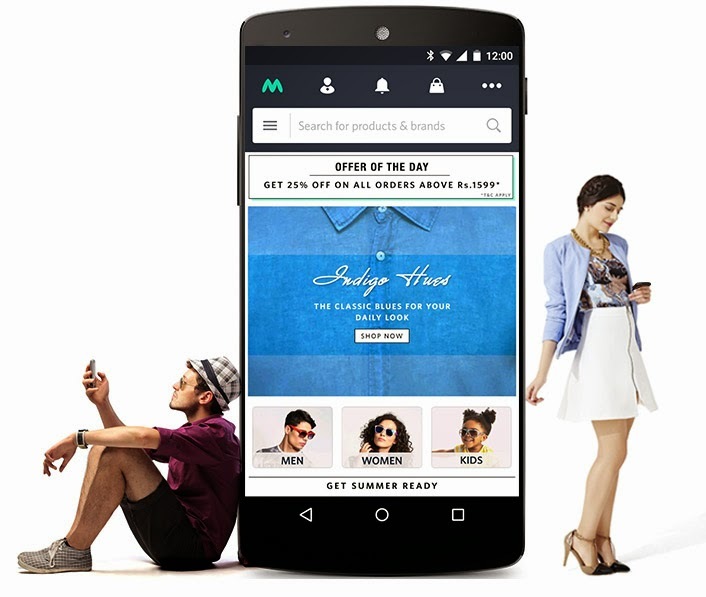 Logging in to the Myntra app is a child's play using Facebook and Google. Also, it doesn't matter what payment option you choose ultimately, since the Myntra app offers all (CoD, net banking, or credit and debit cards options). So what are you still waiting for? Go, give a missed call to download the app: 1800-419-3500.